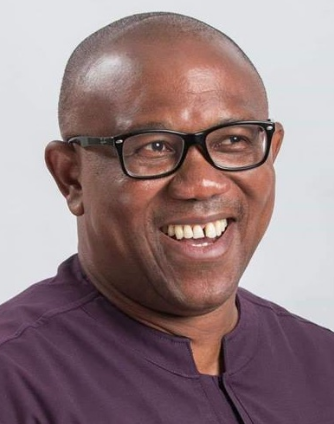 Vice Presidential candidate of the People’s Democratic Party, PDP, Mr. Peter Obi has called for the restructuring of the National Youth Service Corps, NYSC, to be in sync with global development, by turning to a skills acquisition programme. Obi made this call at the weekend, while speaking to over 1000 NYSC members during their convention at Madonna Renewal Centre, Nkpor, Anambra State. Obi said the programme of Alhaji Abubakar Atiku revolved around restructuring, which, according to him, included looking at existing structures such as those of the NYSC and seeking ways to make it work better to serve the people of Nigeria more meaningfully. “I am aware the NYSC was formed in 1973 and we commend the wisdom that gave birth to it at that time. It was mainly set up to encourage nation-building and development as well as reconciliation and brotherhood among Nigerian youths. Forty-five years after, the scheme is ripe for thorough appraisal as to make it more involving by deploying it as a platform through which young graduates will engage in skills acquisition, after which funding will be provided for them, based on chosen criteria, to start various trades”, Obi said. Obi took the opportunity to encourage Nigerian youths to love one another and the country and to shun negative tendencies that will be detrimental to the development of the country.